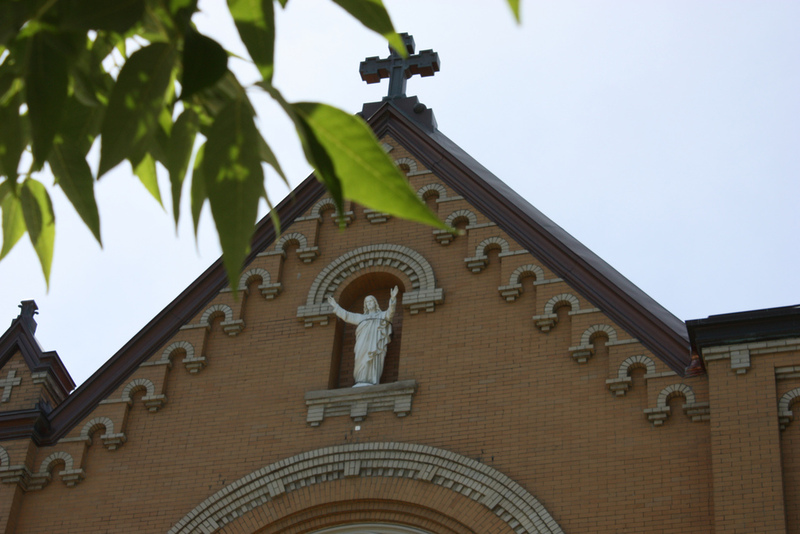 In 1905 Archbishop James Edward Quigley asked Father John De Schryver, SJ., a professor at St. Ignatius College, to organize a parish for the Belgian community in Chicago. Named for the patron saint of young people, students and altar servers, St. John Berchmans Parish (SJB) was established on September 3, 1905. In 1907 the Dominican Sisters of Kentucky started the school. 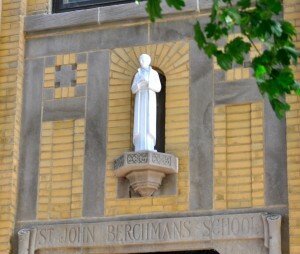 Standing for over one hundred years as a Beacon of Hope and anchor of this Logan Square community, Saint John Berchmans has a rich history that kept up with this ever-changing neighbor. Please read our Complete Parish History for details about our past, then join us each Sunday to become part of our future. John Berchmans was born on March 13, 1599 in what is now Belgium. He was the oldest of five children. As a child, he was noted for his devotion to schoolwork and his reverence as an altar server at Mass. John Berchmans was well-liked among his classmates, and gently encouraged them by his own example to live their faith with greater diligence. On September 24, 1616, John Berchmans entered the Jesuit novitiate. In 1618, he was sent to Rome to study philosophy and was an exceptional student. He requested after ordination to become a chaplain in the army, hoping to be martyred on the battlefield. Instead, John Berchmans returned to Rome, where he lived and studied for two years, before he contracted a fever and died of his illness at the age of 22. After his death Rome in 1621, his heart was returned to his beloved province in Belgium, and it is kept in a silver reliquary on a side altar in the church at Louvain. John Berchmans was declared Blessed in 1865, and was canonized in 1888. John Berchmans is unique as a saint because his life was fairly ordinary: he was not a martyr, he did not perform spectacular miracles nor did he live in extreme poverty. He did not even live long enough to be ordained a priest. Despite his short life, John Berchmans became a saint because he sought to follow the will of God and the example of Christ even in the most ordinary of circumstances. In his ordinary life, he lived an extraordinary faith. His feast day is celebrated on November 26 and because of his devout faith, he is usually represented in art holding a crucifix, the rule of the Jesuit Order, and a rosary.